Cologne - Such is the intensity of the competition in the lower two-thirds of the Bundesliga that, with only five games remaining, even seventh-place Werder Bremen could still technically be overhauled by last-placed Hamburger SV. As it stands, though, the bottom five look increasingly likely to be scrapping among themselves for top-flight survival, not least after they all lost again last weekend. Hertha Berlin are not a member of that off-the-pace bunch, however – and that is something of an achievement in itself for the capital club, who were second from bottom when they parted company with head coach Jos Luhukay in the wake of Matchday 19's 1-0 home loss to Bayer 04 Leverkusen. In the ten games so far under his successor, Pal Dardai, Hertha have picked up 16 points, courtesy of four wins and four draws. A goalless share of the spoils against 1. FC Köln stretched their , and took both sides five points clear of 14th-place SC Freiburg. In fact, in light of the aforementioned mid-table traffic jam, those of an ambitious bent in the Berlin camp might now even be calculating a potential back-door route into next season's UEFA Europa League. 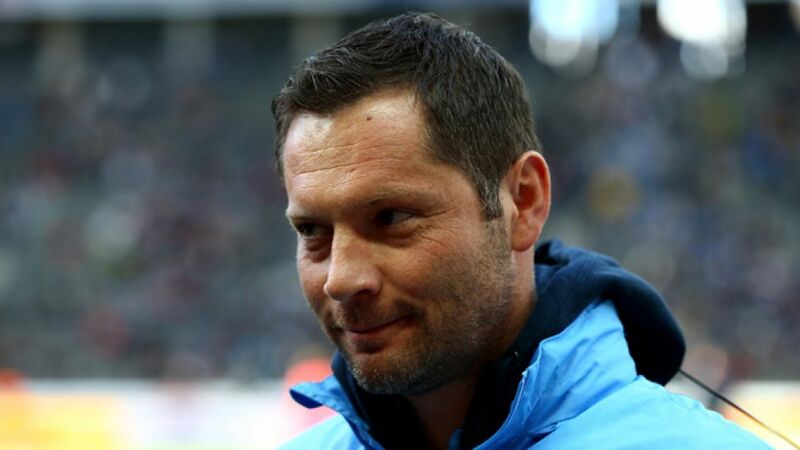 Not so, Dardai – and little wonder, given his side's run-in down the final straight. Next up, it's the ultimate test, away to FC Bayern München in Matchday 30's late Saturday kick-off. The follow-up to that is scarcely any less challenging, against one of the most lethal counter-attacking teams in the business right now, Borussia Mönchengladbach. And then comes a trip to Borussia Dortmund, looking to give their own departing coach Jürgen Klopp, a suitably stylish send-off. Free-scoring Eintracht Frankfurt are Hertha's final opponents on home turf, before they round out the campaign with a trip to 1899 Hoffenheim – yet another side who could still be in with a Europa League shout come the final matchday. The “mental strength” the former Hertha fans' favourite attributed to his players after the victory over Mainz stood them in good stead when, having lost the subsequent two games at home to Freiburg and, narrowly, at VfL Wolfsburg, they put the brakes on another potential downward plunge with a 1-0 home success against Euro-hopefuls FC Augsburg. Six games further down the line, five of which were against direct bottom-end rivals, they are still unbeaten. With Dardai at the helm, that seems an unlikely scenario. The 39-year-old Pecs native turned out a club record 286 times in the Bundesliga for die late Dame, a skilful and industrious midfielder who knows from first-hand experience what it's like to be in the thick of a relegation dogfight. “When you're so far down, every setback's harder to absorb. Fear plays a role in it as well,” he reflected. Fear will have no place at the Allianz Arena this weekend, but a very healthy respect and, again, that matter-of-fact philosophy. “Against Bayern, we'll see how good our defensive system is, and whether it can hold up. Whatever's going on with them at the moment – they're good alright,” Dardai noted laconically. Nonetheless, “If we can turn in another good defensive shift there, then we'll know we really are a compact unit now. We're Hertha Berlin, and we want to do ourselves justice there as well.” Pal Dardai can talk the talk, and Hertha aim to carry right on walking the walk.